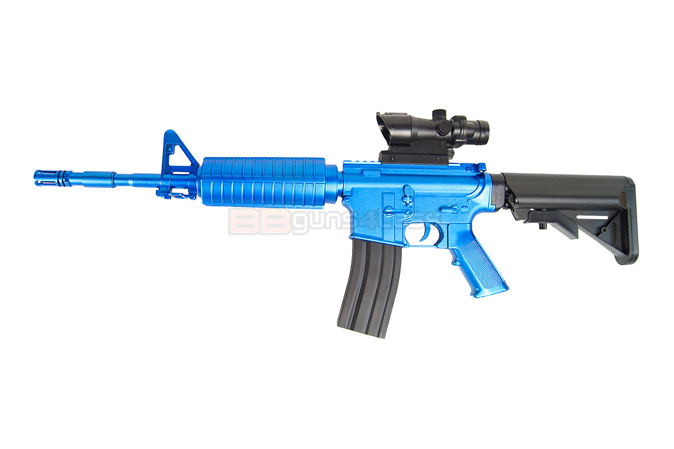 The 8908A is a 1/1 scale M4 carbine style spring airsoft rifle. This rifle is very accurate making it ideal for some garden target shooting. The rifle also comes with a scope in the box to even further enhance the target shooting experience. Making this gun great for some back garden target shooting, the mag holds approx 200 rounds and with a quoted FPS of 260 with 0.20g BB's this gun is ideal for a first gun or just as a target rifle.